Silicone Bottle Sleeve, also known as Silicone Cup Sleeve, Silicone Rubber Sleeve, Silicone Cover and Silicone Case. 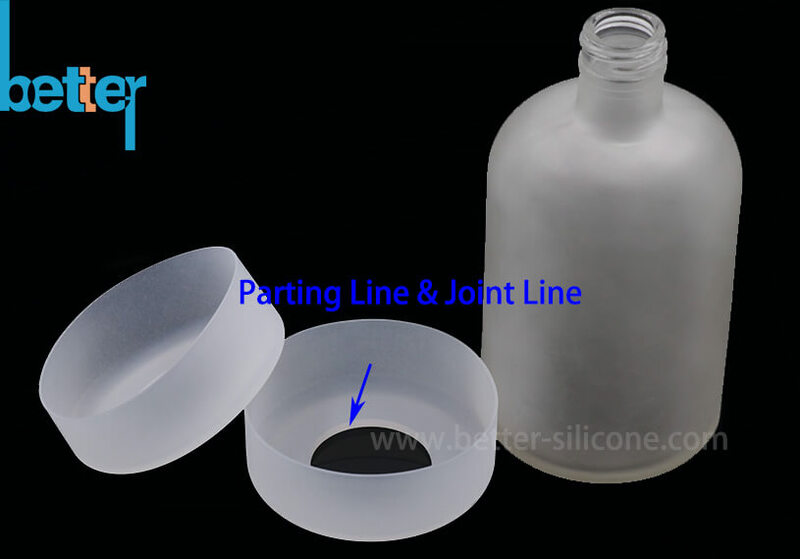 Silicone Rubber Sleeve is a protector for glass bottle, baby glass bottle, stainless bottle and so on, which is waterproof and shockproof to protect the bottle from collision and scratch. 1. 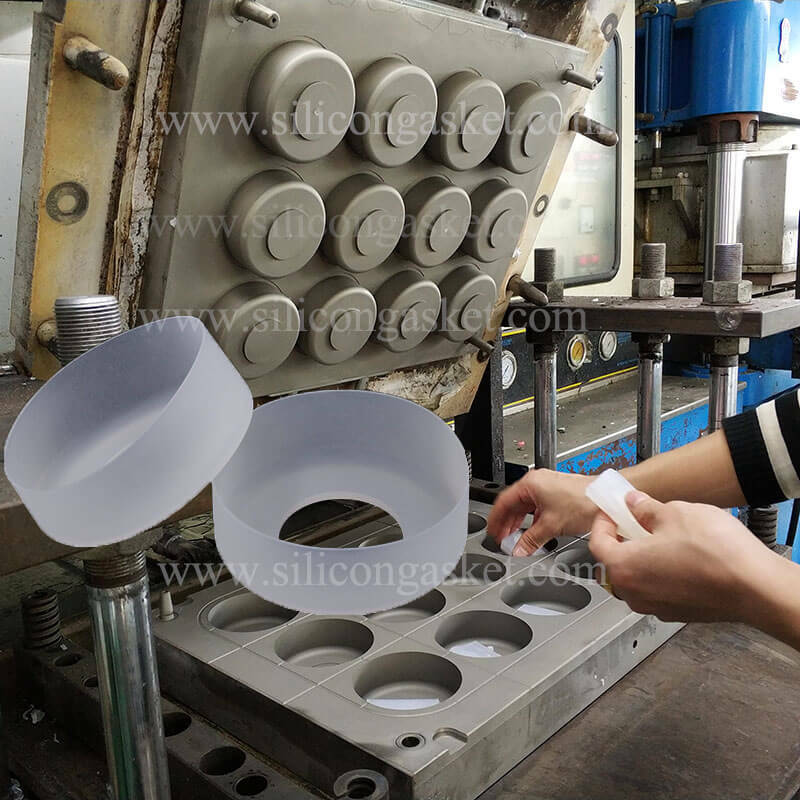 Mold Making: Silicone sleeve produced by comppression molding. We make the molding according to customers' 2/3 drawing designs and quantity, usually the different design will effect the layout and parting line of the sleeve, and quantity will effect the size of the molding (different cavity). 2. Material Preparation: raw material mixing, color mixing, calculate the weight of the material. 3. Silicone Cover Trimming: remove the raw edges on the products. 4. Silkscreen Printing Process: for some customers, they will need some patterns or characters on the surface of the bottle, but for some customers, they choose debossed or embossed logo or characters on the sleeve. 5. 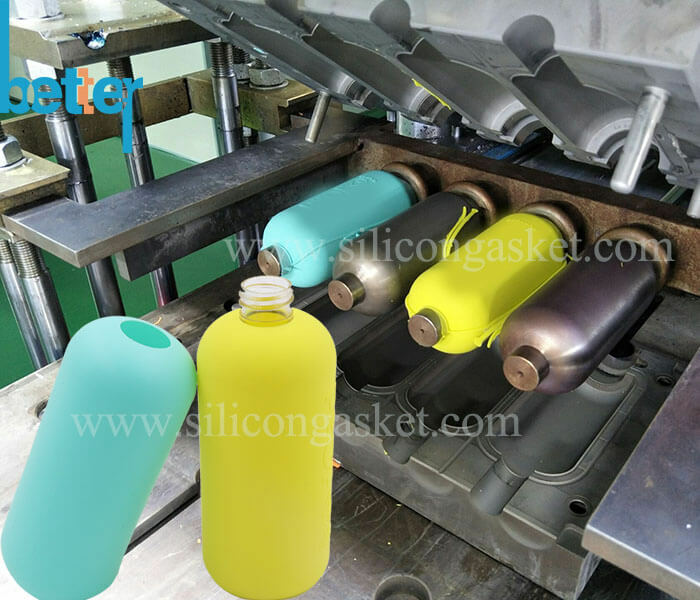 Surface Treatment: Matte smooth coating not only can make silicone sleeve have better tactility, but also make it easier to put on or off the bottle. And for some large bottle sleeve we suggest to have matte smooth caoting on both inside and outside. Notes: Usually the thickness of the sleeve is 0.8-12mm. Feel free to send us your 2/3D drawings/samples or tell us your detailed dimension, we will design for you.